Whether it is you, your family members, or pets, bed bugs will turn up anytime at your place. Whether it is your home, a restaurant, cafe, or an office, bed bugs can show themselves up at any place. The nasty parasites mark their presence by stinging you sharply on your skin. The creepy crawlies will make your skin red by stinging on end whenever you sleep or wherever you rest. 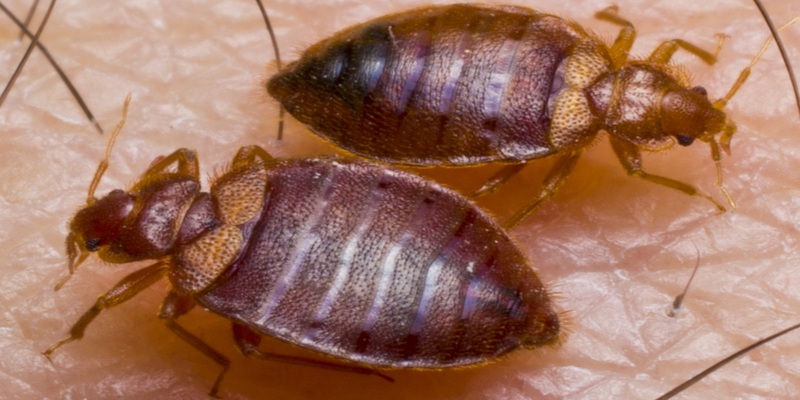 Killing one bed bug will not prevent bed bug infestations. These bugs are present everywhere and they breed at a faster pace. The population of bed bugs grow at a tilt and the bugs get spreaded from one room to another at the rapid speed. To put an end to the infestation, you will have to exterminate all bugs at a time. It is the job of our bed bugs control Perth service guys to make you rid of the blood-sucking parasites once and for all. Our pest officers are always available to perform pest solutions at your place. As it is known to all people that bed bugs have no wings, but many people do not know that these insects have wing pads which do not grow properly. At the time of feeding, the color of insects becomes red. Otherwise, the bed bugs are brown in color. Bed bugs can be visible if you look closely at them. The size of the insects is approximately 4-5 mm. With their oval-shaped bodies and tiny legs, these parasites crawl in several places. When bed bugs bite you hard, you only come to know from the reaction of stings that you have been bitten by bed bugs. Do you know how many bed bug species are there in your location? Probably not. The regions of Australia have cimex adjunctus, cimex lectularius and cimex hemipterus. * You may spot tiny dry faeces on the invaded places. * Dark brown clusters will be stuck on the bedding items. * If bed bugs are close to you, then you will get the smell of musty and subtle odor. A) Vacuum clean bed frames, headboards, box springs, mattresses and other resting objects once a week. B) Close all gaps which allow these bugs to access inside your home. C) Wash your bedding items with warm water on and off. D) Maintain a proper hygiene because bed bugs attack places which are unhygienic. How do we eliminate these hitchhiking parasites? Our intensive approach of eradicating bed bugs starts with the assessment in all over your place and ends with our application of “bed bugs treatment Perth” solutions. Bed bugs can be removed only when the right type of treatment is implemented and the infested property gets assesed thoroughly. Our pest inspectors know where could be the infestation points. They will kill for those infestation sites and will implement correct bed bugs treatment. We show a pest report to our clients which consists of the details on the invaded sites of bugs and which type of bed bug solutions will be used right after inspection. We have specialized environmentally friendly bed bugs control services at our end which will end the lives of bed bugs instantly. Our bed bug controls do not exude baleful effects in the environment, as the pesticides are completely toxic-free.